Recently, the Paiknam Library is going through a renewal in efforts to make the library more approachable and convenient for the Hanyang University (HYU) students. The main goal of the library is to achieve the ‘Library 4.0 Generation’ or 4H. This is made by the Associate Dean, Hong Yong-pyo himself, where each of the four H’s represent the keywords: healing, homelike, harmony, and hive. The changes made at the library will surely achieve these goals and will provide a space for the students where all their needs will be fulfilled simply by going to the library. With digital convergence in mind, there will be several new changes that will welcome the students when they come back to the school in the fall semester. On February this year, a survey directed to the students was conducted on how they feel about the Lee Jong-hoon Lounge. By incorporating the students’ feedback and suggestions, the entire first floor will be renovated just for the students’ usage, which will be named Lee Soon-kyu Lounge. The original offices on the first floor are now divided by sections and are located on the basement, fourth and the fifth floor. “We are trying to give the most accessible place to the students.” said Hong Yong-pyo. One of the changes that will be made is that all the chairs and spaces in the library will now have a place where students can charge their phones and computers. 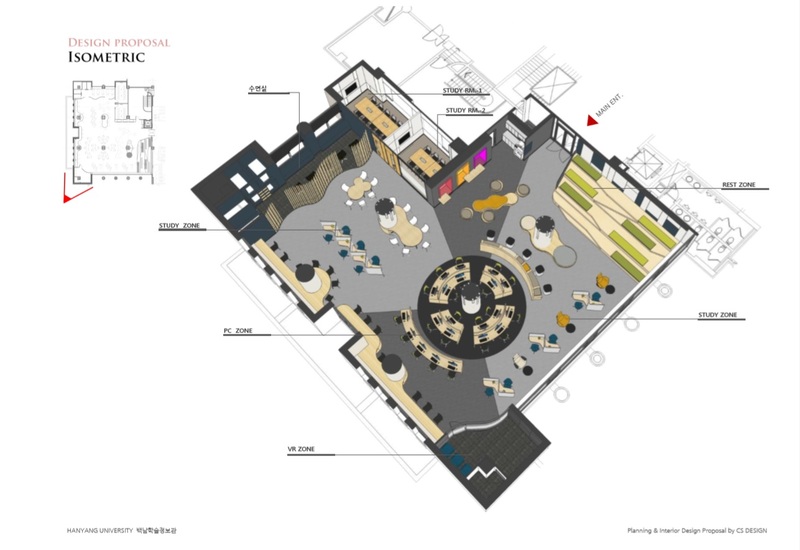 Also, the new lounge will arrange many exciting areas for the students, such as a space for experiencing VR, relaxation, sleeping cubes, and debating. Furthermore, 16 bathrooms in the library will be renovated to look more modern. All the constructions will be finished at least by the midterm season of the second semester.